The exotically beautiful and mysterious orchid flower is one of the blooms which best captures our imagination, evoking images of distant jungles or deserts where orchids flower under a simmering sun. This fascinating flower is still the source of intrigue within the scientific community with fresh new research from Taiwan appearing online this week. Researchers have managed to identify the reason why the orchid flower has its distinctive lip shaped petal which has been a source of much speculation until now. Orchids are unique in that they feature three regular petals alongside an instantly recognisable lip shaped petal and a single central column which is used during reproduction. The lip lures pollinators, it serves as a kind of 'landing pad' for insects, butterflies and moths. As well as visual cues, the lip also employs tactile and fragrance cues to attract pollinators. The formation of the famous lip shape of the orchid has now been discovered to be the result of competing protein complexes. The variance in standard petal and lip protein complex levels is the main reason why there are so many countless variations of orchid species around the globe. 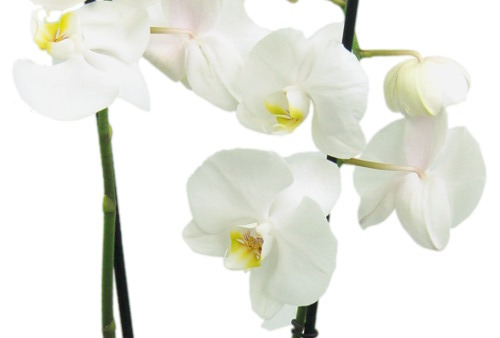 If an orchid has a higher percentage of lip proteins then it will have a large, prominent lip. If it has more standard petal proteins, all petals will look roughly the same. There are innumerable variations in between; for example if there is an approximate 50-50 split in protein complexes, the orchid will develop a lip but it will be less obvious.